Anya was looking for something relaxed but with a great shape for her Scottish wedding. There were to be lots of children and dancing so something tight fitting would not work. The 50’s silhouette was perfect for both Anya’s shape and the style of wedding. The newly named Anya dress has a sweetheart neck line that is softer than a straight bodice and with the lace overlay both anchors the dress and gives balance to the full skirt. Anya is slim with a great figure and the full skirt gave reel fullness and an hour glass silhouette. Ella was having a London wedding and was looking for a silhouette that would really work with her body shape. Ella had a natural hour glass so we opted for the the Kate 30’s crepe back satin ivory dress. The bias cut diamond paneling moulds around the body and works with the natural curve. The seam lines on the bust and front of skirt are great to high light the hour glass shape. 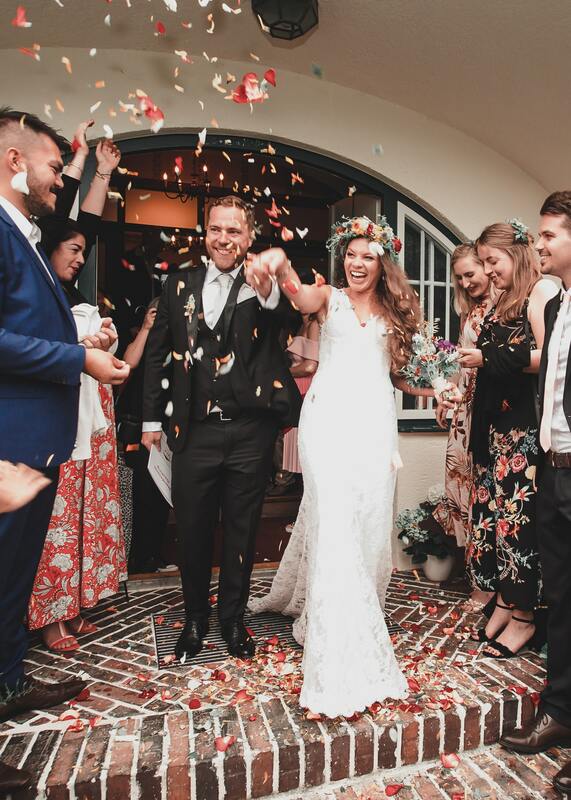 Though the dress is fitted it moves and is works with the natural form of the body so you can eat, breath and not feel restricted in it, Ella looked fabulous in the dress. Farah was getting married in Cyprus and she needed two dresses. This was her second dress her ceremony dress was lace so we wanted to follow the same theme throughout. Farah has a great figure she has slim hips so the the Lottie dress was perfect to give a real hour glass shape. The width in the shoulders and the fullness of the skirt worked to create the perfect balance. We went for short with a full petticoat as Cyprus was due to be hot and Farah has great legs. The important thing is for the hem line to finish at the narrowest part of the leg whether you are going long or short.